"God sees with utter clarity who we are. 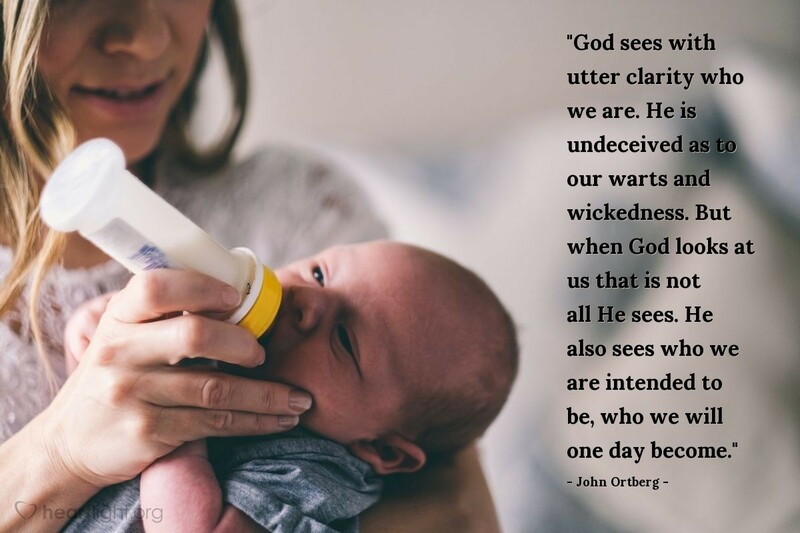 He is undeceived as to our warts and wickedness. But when God looks at us that is not all He sees. He also sees who we are intended to be, who we will one day become."